Bright. Clear. HD imagery. Already a 60+ year masterwork of ruggedness, clarity and light transmission, the Elite gets a significant performance upgrade this year with the addition of ED Prime Glass and Rainguard HD anti-fog technology. Fully multi coated and featuring XTR Technology, our Advanced Fusion Hybrid Lens System delivers 99.7% light transmission per lens. The result is unmatched edge-to-edge clarity, contrast and colour-true imagery. Rainguard HD coating eliminates lens fogging, boosts brightness and scatters moisture even faster than original Rainguard. 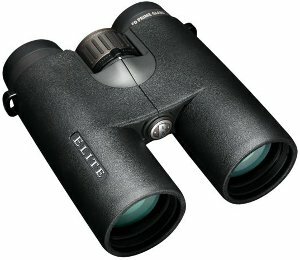 Elite binoculars are also 100% waterproof, fogproof and built around a tough, lightweight magnesium chassis for reliability in the most extreme conditions. Even the rays from the edge are focused on a single focus point. The image is sharp.